Certain things, as they age, don’t weaken; they become more potent. 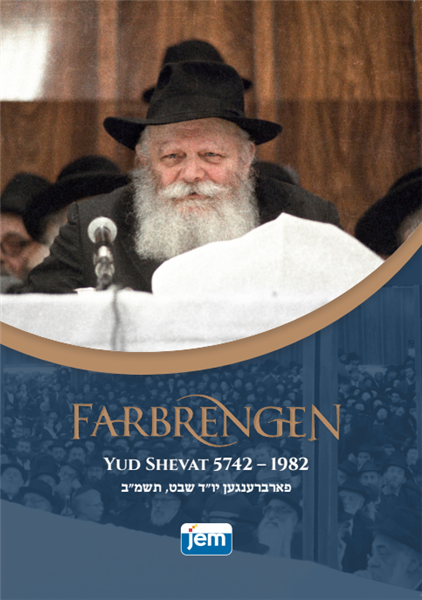 The Previous Rebbe’s life was dedicated to bringing spiritual and physical vitality to humankind. He taught us, as well, to constantly grow in our own service of G-d, and to be bright guiding lights to all those around us. Therefore, with each passing year that we, his “offspring,” continue his mission, his legacy grows more alive. At this Farbrengen of Yud Shevat 5742-1982, the Rebbe dwells on this topic and much more. A lesson is learned from the date of the month, day of the week, and from every aspect of the commemoration. Listen and learn how every detail in one’s life is really a message from G-d. This special release includes the entire Three Hour Thirty Minutes event. All addresses are presented with subtitles.